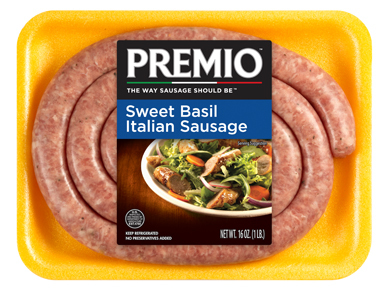 Have you ever wanted to kick the taste of an Italian sausage up a notch? You’ve come to the right place! We’ve taken the sublime taste of Italian sausage and turned it into a specialty item with lots of different options that will satisfy whatever craving you have at the moment. Whether you prefer a veggie-filled option such as our pepper, onion and mushroom sausage or one that’s even sweeter, like our basil variety, you’ll get a sausage that’s unlike anything you’ve enjoyed before. 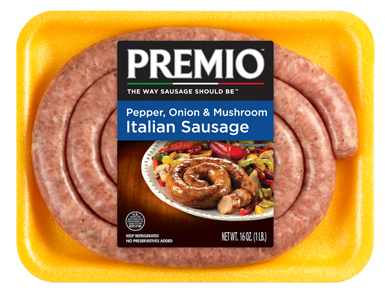 Our Italian specialty sausage has a blend of spices designed to delight you with every bite. We make each one with the finest butcher-quality cuts of meat. They hit your plate with a nutritional profile you will love, combined with a taste your family will crave. Our specialty sausages have unique flavors, too. 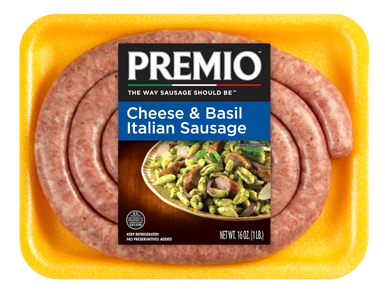 We infuse them with cheese, rosemary, basil or other added ingredients to make them stand out from our other Italian sausages. We keep our products free of MSG and unnecessary preservatives. Instead, they’re packed with protein and seasonings that give them their terrific taste. Are you or someone in your family on a gluten-free diet? Don’t worry — our sausage is naturally gluten-free, as well. We serve up high-quality foods so you can feed your family right. 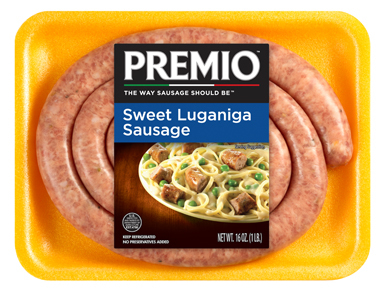 When you buy our Italian specialty sausages, you can plan different dinner and lunch options. They fit into lots of different recipes, from hearty fare to lighter food perfect for a midafternoon snack. Try slicing them up and stir-frying with vegetables for an easy meal. You can also add them to pasta for an Italian feast or serve them on buns if you love grilling out. Why Buy Our Italian Specialty Sausage Online? 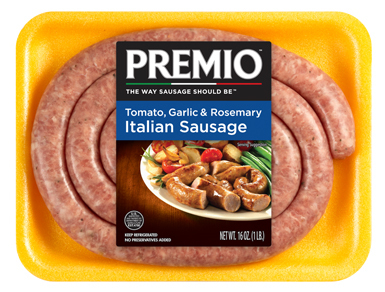 Premio Foods has been making sausage for more than 40 years. We specialize in fine Italian sausage, and this production has become our passion. We’re a family-owned company, and we believe in making our food in the traditional way. That means doing things the right way, not always the easiest way. Each bite of our sausages tastes fresh and familiar, reminding you of food the way it’s supposed to be, without fake flavors or added fillers. We know you’re busy, so we also offer recipes on our website where you can find great dishes to make with our Italian sausage. With options for lunch and dinner, our recipes will fulfill any craving you may have. Because our specialty sausages come packed with protein, these meals will keep you full and energized for hours. You can order online or use our store locator to find a place near you that offers our products. Be sure to check out our money-saving coupons before you head to the store!